The fabulous city of Havana is a city undergoing a transformation. Despite initial worries from the luxury travelling world, it seems it might be for the better; with an emerging contemporary art and the culinary scene on the cards. 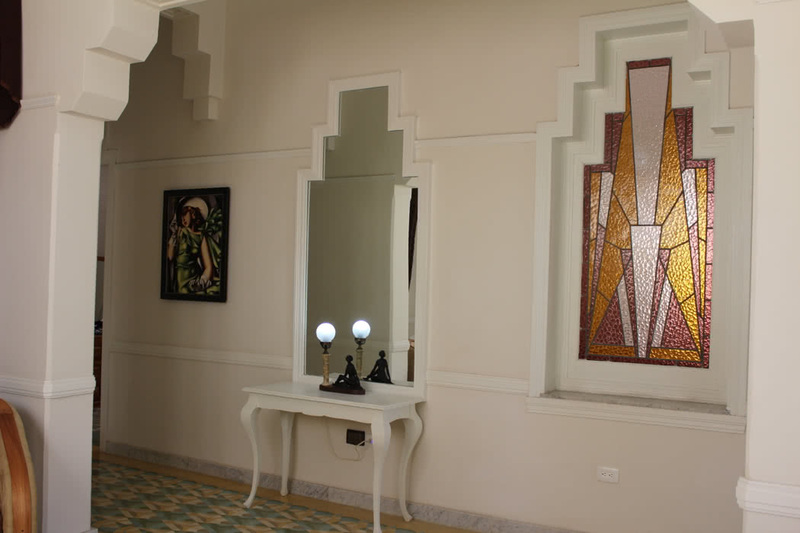 Check it out for yourself and stay at a beautiful boutique private house; the Art Deco Havana, while you do so. Havana, which is the capital of Cuba boasts an eclectic mix of architecture, most which is wonderfully weathered; stroll its atmospheric colonial streets, pause to soak up the Cuban rhythms and let the hours while away in a café or two. The cutting-edge contemporary art scene is fascinating to discover and it’s a great time to visit as big name brands start to pop up around the city. 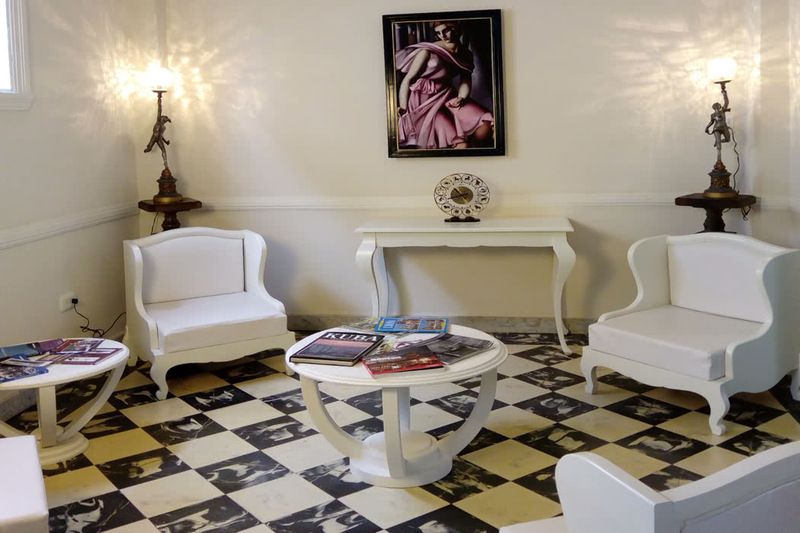 The hotel is located in the urban Vedado neighbourhood, the cultural heart of the city, which itself perfectly demonstrates both old and new Havana. You can also rent a bicycle from the hotel and explore the area on two wheels. 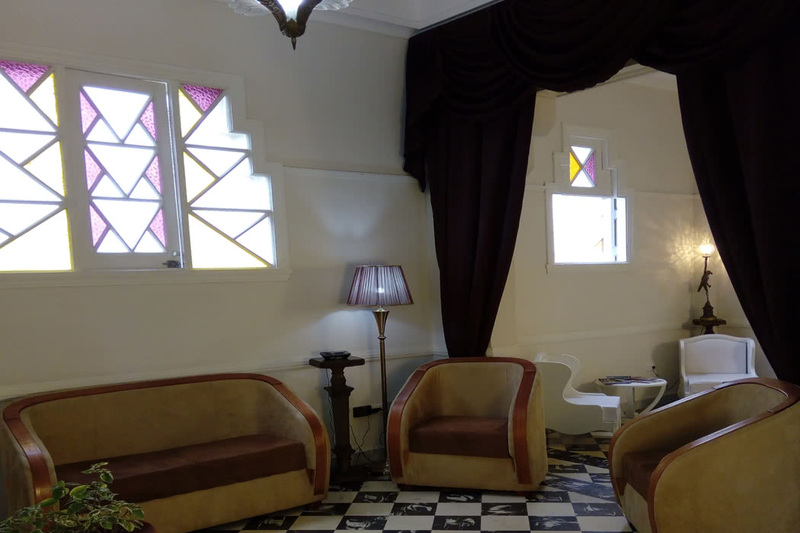 The boutique hotel is housed in an Art Deco inspired building which was built in the 1930’s. 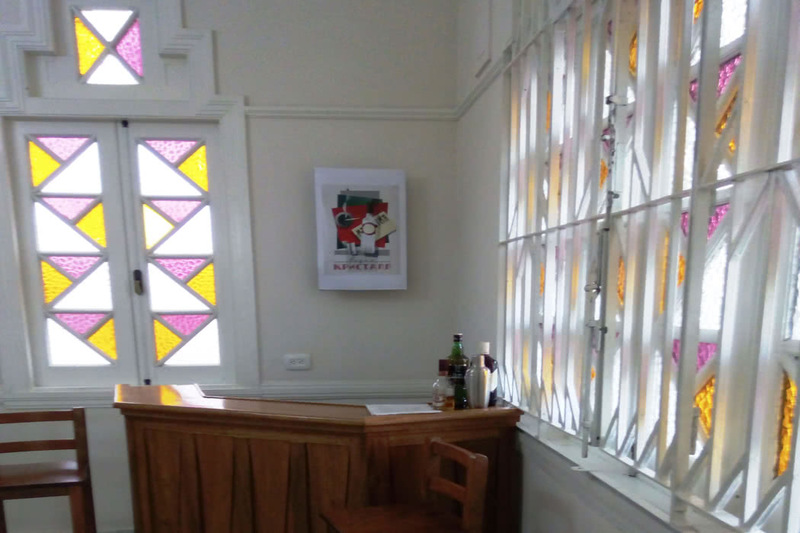 The property has been lovingly renovated and preserved to maintain many of the original features; including the tiled floor, wooden doors and the beautiful stained-glass windows. The décor and furnishings feature antiques and vintage accessories and art. The hotel has a glamorous, vintage appeal; very Havana then. There are two spacious, shared living areas where you can relax in the stylish Art Deco surroundings after a busy day exploring Havana. 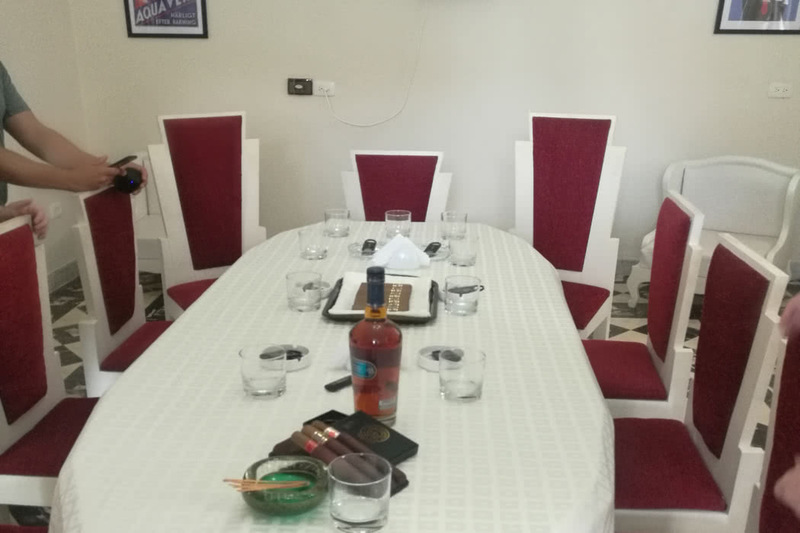 There is also a separate meeting room which has its own bar, ideal for entertaining over a Cuban cocktail. 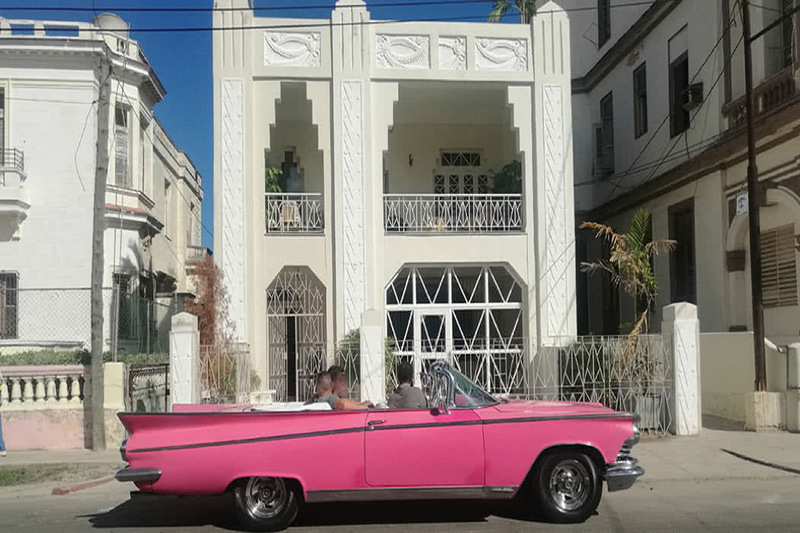 There is also complimentary Wi-Fi (which can be tricky to find in Havana), parking and a range of services including: 24-hour security, a laundry service and a Concierge Service who will provide local suggestions and make arrangements and bookings. The front desk is staffed 24 hours a day and the staff speak English, Spanish and French. 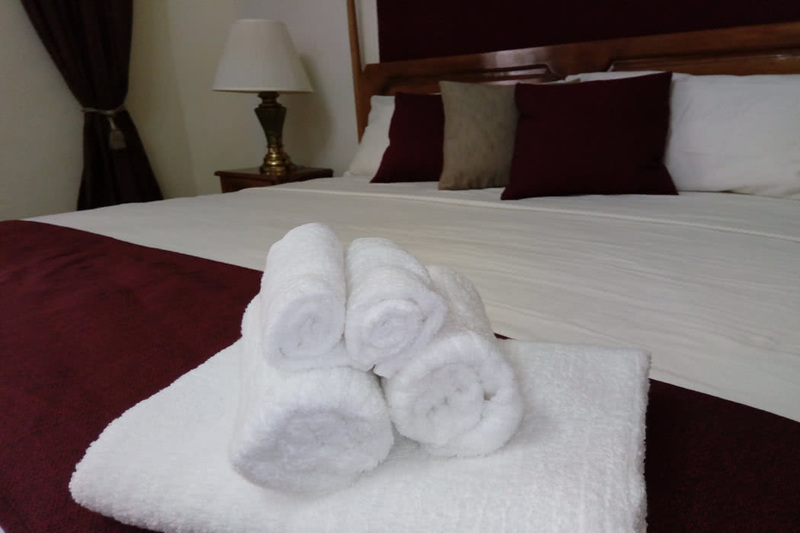 All the staff are extremely courteous, helpful and welcoming; being a private house, it has a lovely homely vibe which is also evidenced in the service. There are just four uniquely decorated Guest Rooms in this intimate hotel. 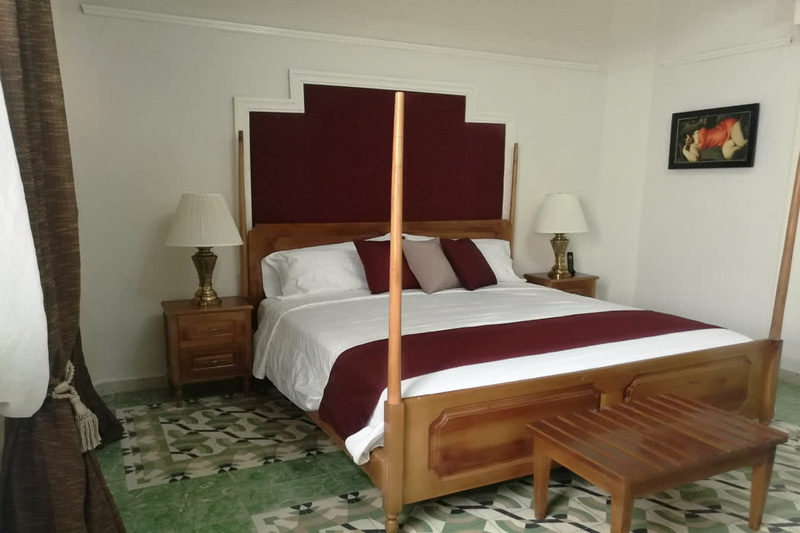 All the rooms have private bathrooms and feature king size beds and a minibar. 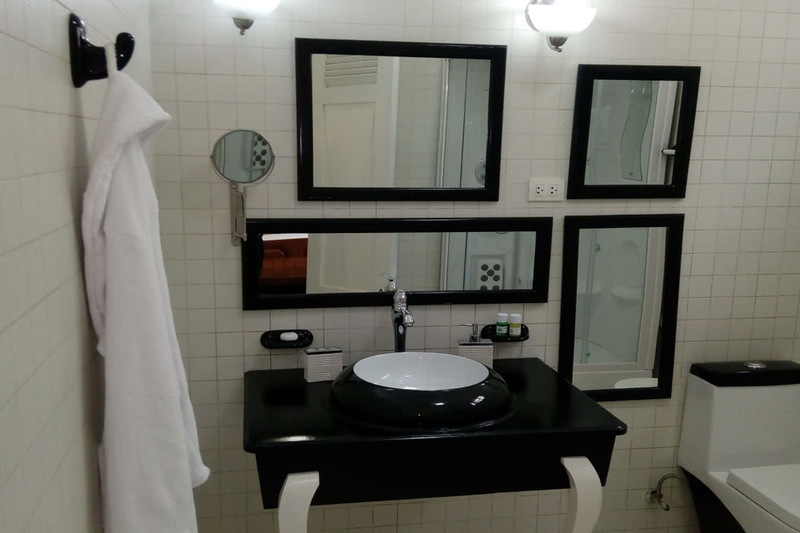 Three of the rooms also include a Jacuzzi bathtub in the bathroom so request that yours does if you like a restorative soak! Start the day with a delicious Cuban breakfast, all you need to do is choose whether to sit in the gorgeous formal Dining Room or outside on the large, sunny Terrace. 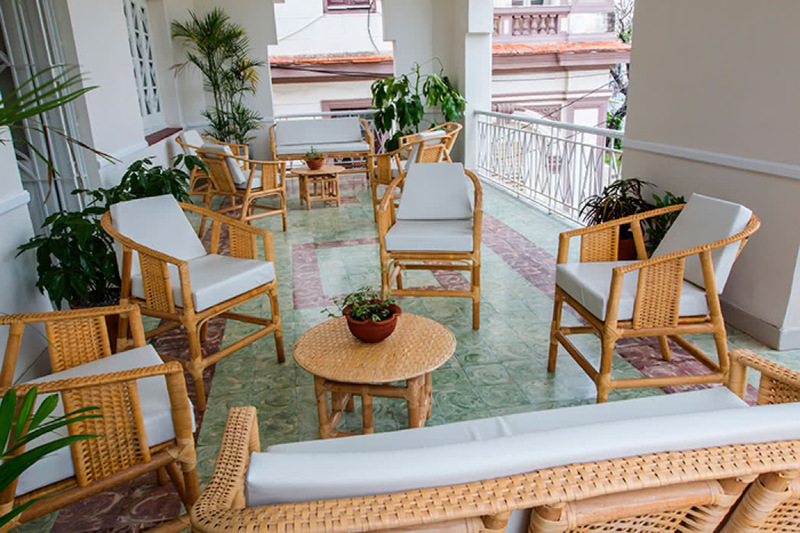 The terrace is also the idea spot to take tea or a Cuban coffee any time of the day and benefits from a lovely sea breeze coming from the nearby Malecon esplanade. 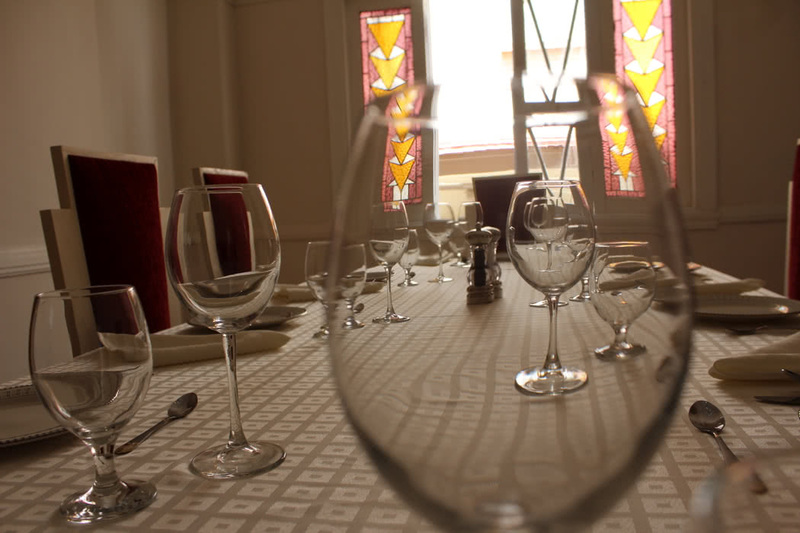 Your hosts will also happily provide lunch and dinner on request, the Dining Room can officially sit up to 10 guests, but it’s a sociable place so there’s always room to pull up an extra chair or two.